A cold front will be moving into the northeast Thursday. A few days ago, it looked like this front would pass through pretty quietly, with just some rain showers. Now it’s becoming clear a coastal storm will form ahead of it, and grow pretty quickly before moving into New England on Friday. 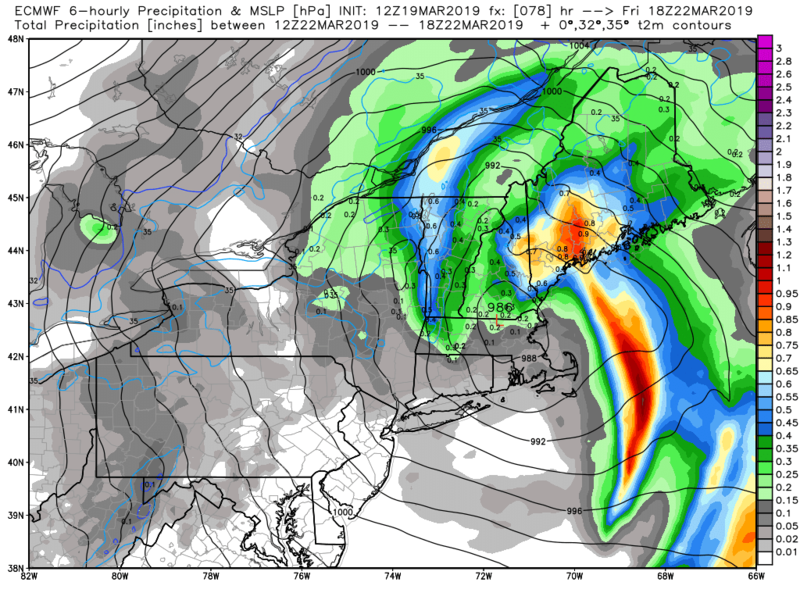 I’m calling it a “spring” nor’easter not only because of the new season, but because it looks like it’ll behave a lot like a spring storm: Many of us will see a windswept rain, while significant snow accumulation should be confined to higher elevations. A track hugging the coast seems most likely at this point, that would allow mild air to flow in, without a cold high pressure source nearby. Right now, I’d plan on a soaking rain Friday morning and midday, with 1″ to 2″ likely. There may be some wet flakes mixed in, but outside of the mountains, little or no accumulation is expected at this time. The highest astronomical tides of the month are on Friday — thanks to this week’s supermoon. That’s bad timing. 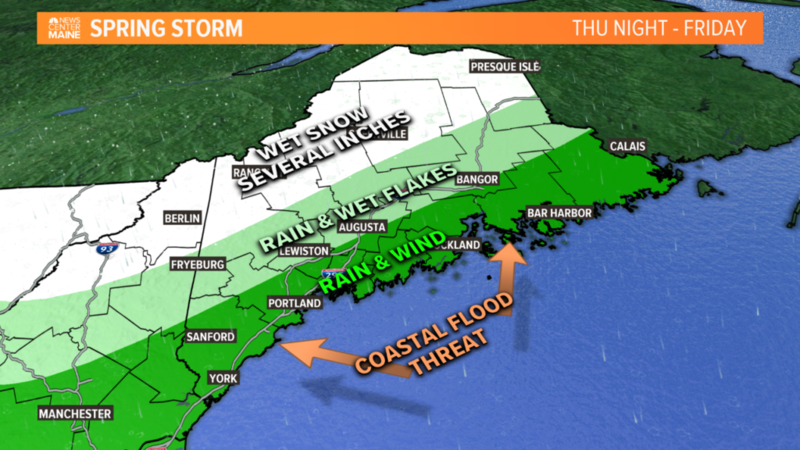 The 12 a.m. and 12 p.m. high tides on Friday will need to be watched for at least minor flooding and splashover, but moderate flooding is possible in southern Maine depending on the storm’s strength and surge.